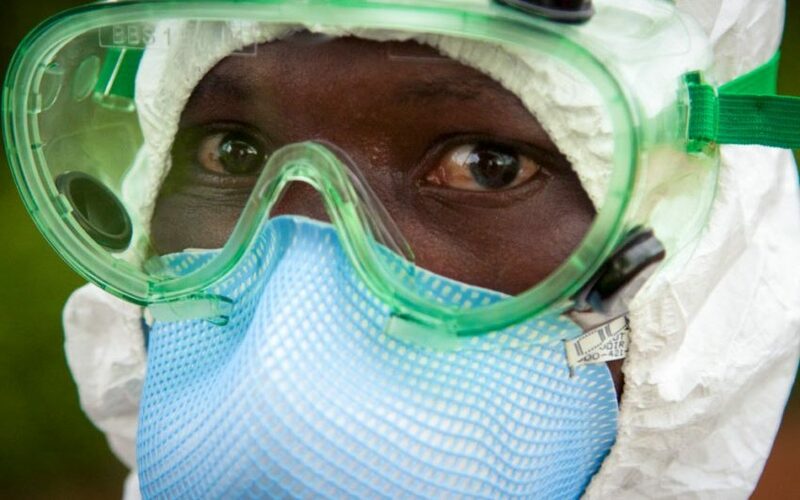 The 2014 outbreak of Ebola virus in West Africa was the “largest, most severe and most complex Ebola epidemic” in history, according to the World Health Organization (WHO). More than 28,000 people were infected, and 11,000 people died before the international public health emergency ended in 2016. Most of the cases occurred in three countries: Guinea, Sierra Leone, and Liberia. Without an effective early-warning system, the disease spread rapidly within the region, revealing the failures of disjointed and under-resourced healthcare systems. In Sierra Leone, where World Vision concentrated its efforts to battle the disease, Ebola was first reported in March 2014. 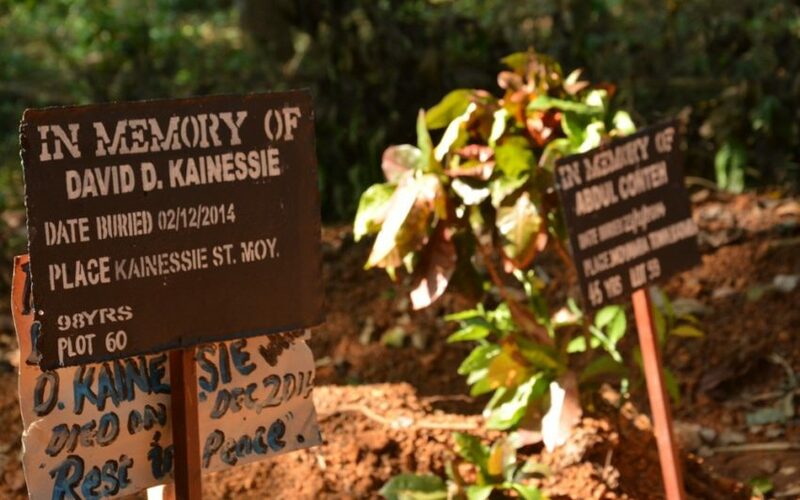 Sierra Leone’s health system was ill-prepared to address the overwhelming number of cases. By March 2016, the WHO had documented a total of 14,124 cases, including 3,955 deaths, in Sierra Leone — more than any other country. Ebola alert May 21, 2018: The World Health Organization warns that an Ebola outbreak in the Democratic Republic of the Congo has spread from rural Bikoro in Equateur Province to Mbandaka, a city of 1.2 million people 93 miles away, raising concerns that it could spread further within the country. About 50 likely cases have been identified. Health officials are deploying an experimental vaccine to healthcare providers and others who may have been in contact with people who have contracted the virus. Ebola was first identified in 1976 in the Democratic Republic of Congo, then known as Zaire, and in what is now South Sudan. When the outbreak began in 2014, the virus was not well known in West Africa and quickly reached epidemic proportions. March: Cases of Ebola are reported in Guinea, then in Sierra Leone and Liberia. 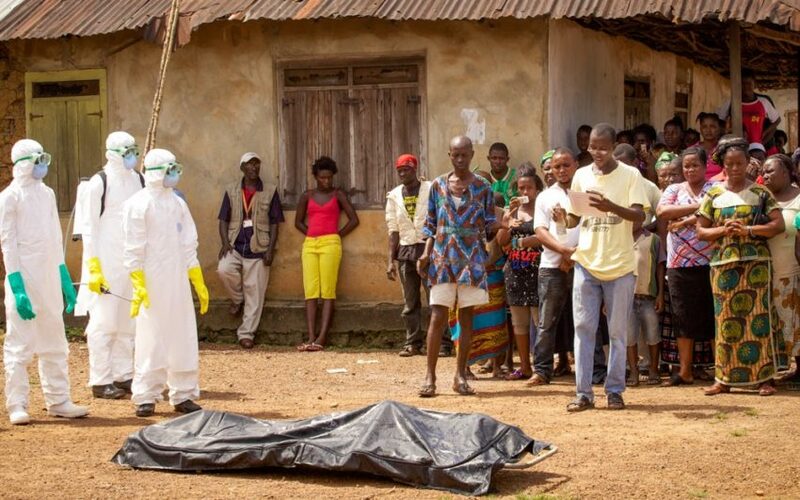 May: Funeral of a traditional healer in Sierra Leone may have led to 365 cases. August: The WHO declares the outbreak an “international health concern,” warning that 20,000 people could become infected before it’s curbed. Sierra Leone outlaws mass meetings and closes schools. September: U.S. sends 3,000 military personnel to set up 17 treatment centers. U.N. Security Council declares the outbreak a threat to international peace and security. September 19 to 21: A three-day national lockdown occurs in Sierra Leone to identify new cases and interrupt the spread of the disease. While the nation’s population was quarantined in their homes, community health workers went door to door, investigating deaths not reported to the government and reminding households of the dangers of traditional burials, a key factor in the spread of the virus. September 30: Overall, there were 6,574 cases, 3,091 deaths. October 12: Total raised to 8,997 cases, 4,493 deaths. December 29: Year-end totals are more than 20,000 infections, 7,900 deaths. January: For the first time since June 2014, the WHO reports fewer than 100 new cases within a week. April: Schools in Sierra Leone reopen. October: First week with no new cases in all three countries. 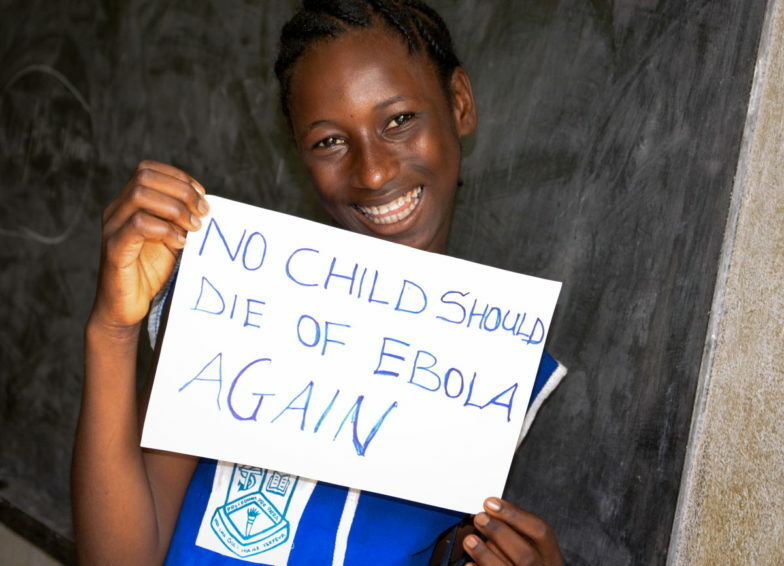 December: The WHO announces that Ebola orphans, children who lost one or both parents, number 22,000. March: WHO lifts international public health emergency. Outbreak officially ends in Sierra Leone. May: Outbreak totals more than 28,000 cases, 11,000 deaths. June: Outbreak officially ends in Guinea and Liberia. Why did the 2014 outbreak in West Africa spread so rapidly? Why was Ebola so hard to stop? Is there danger of an Ebola outbreak in the United States? How can I help survivors of Ebola? The outbreak lasted from March 2014 to June 2016. 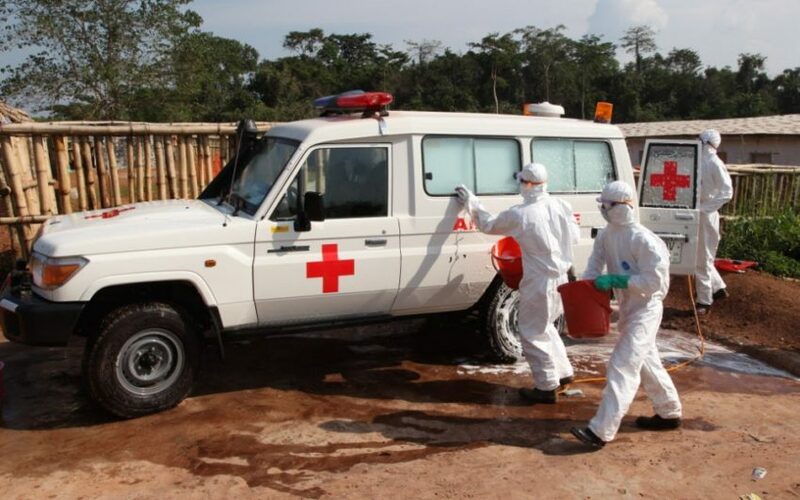 Most people affected by the outbreak were in Guinea, Sierra Leone, and Liberia; there were also cases in Nigeria, Mali, Europe, and the U.S.
About 28,000 people were suspected or confirmed to be infected; 11,000 people died. Ebola is spread by contact with bodily fluids of infected animals or humans. The virus spread rapidly where people followed burial practices that included touching or washing bodies. The Ebola virus disease — formerly known as Ebola hemorrhagic fever — is a rare and frequently deadly disease in humans caused by infection with one of four Ebola virus strains — Zaire, Sudan, Bundibugyo, or Tai Forest. Symptoms of Ebola include high body temperatures, headache, abdominal pain, diarrhea, vomiting, and both internal and external bleeding, such as from gums and stool. It can be difficult to distinguish Ebola from other diseases such as malaria, typhoid fever, and meningitis. Symptoms can appear from 2 to 21 days after contracting the disease. People who have contracted the disease can’t give it to others until symptoms appear. There is no proven, licensed treatment for the virus, but treating early symptoms and rehydration with IV fluids improve survival rates. Potential treatments including blood, immunological, and drug therapies are being developed, and an experimental Ebola vaccine proved highly effective in a 2015 trial in Guinea. The Ebola vaccine is being used in the Democratic Republic of Congo to contain an outbreak that was first announced on May 8, 2018. The vaccine has been proved safe and effective in earlier testing, but is not yet licensed for widespread use. Ebola is extremely infectious, meaning direct contact with a small amount of the virus can lead to infection, but it does not spread through the air. People become infected with the virus by close contact with infected animals, sometimes by butchering and eating bush meat, or by exposure to the bodily fluids of infected people. Sexual contact also spreads the virus. The bodies of those who have died from Ebola carry high concentrations of the virus that can spread to others through contact. Providing safe and dignified burials for people is key to preventing the spread of the disease. The Ebola virus was relatively unknown in West Africa, so it infected and killed people for months before being identified. It was the first Ebola outbreak to spread unchecked through urban areas — the capital cities of Guinea, Sierra Leone, and Liberia. 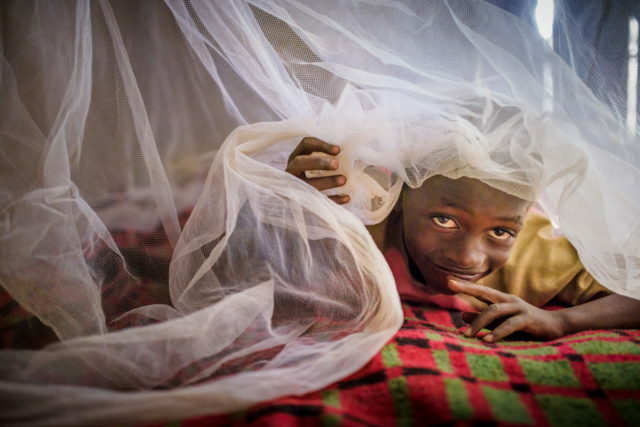 The outbreak was traced back to a 2-year-old child infected in Guinea in December 2013, three months before the outbreak was declared. The infection spread rapidly where infected people were cared for at home or died at home and their bodies were washed and prepared for burial by family members, according to tradition. Medical services in West Africa weren’t well enough staffed or equipped to handle the disease, and people didn’t at first want to trust their sick loved ones to medical care. Without early diagnosis and notification, the international medical community was delayed in providing resources to curb the spread of the outbreak. The effects of the epidemic were worst in Sierra Leone in terms of the total numbers of cases and the numbers of cases per capita. The country’s health system was fragile and short of healthcare workers, shortcomings dating from the civil war that ended a decade before. The U.S. Centers for Disease Control and Prevention says Ebola is extremely unlikely to occur in the U.S. since the disease is not spread by casual contact. There have been a few cases diagnosed in the U.S. among people who have traveled where the infection is found, and that could happen again. The same methods used to control outbreaks of the disease would be effective in preventing its spread in the U.S.: identifying and isolating cases, tracing potential contacts, caring for patients in specially designed Ebola treatment centers, and ensuring safe and dignified burials. Pray for the survivors: Dear Lord, You healed bodies, minds, and spirits during your ministry. We ask Your healing power to be manifest to the girls and boys, women and men whose lives were threatened by the outbreak of Ebola in West Africa. May they know the comfort and assurance of Your presence. May those who grieve the loss of loved ones find their hope in You. Sponsor a child in Sierra Leone as a personal way to show God’s love to a child in need. 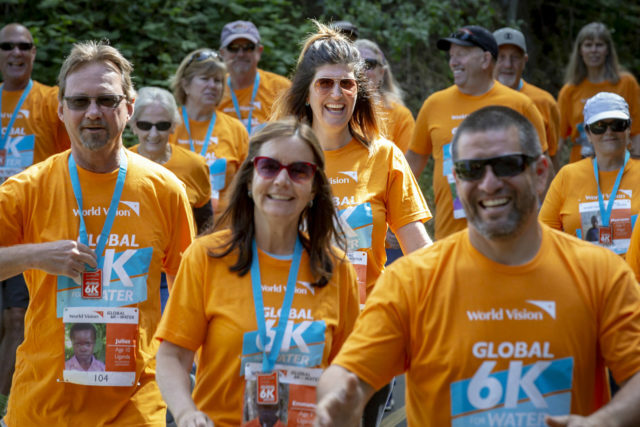 At the time Ebola struck Sierra Leone, World Vision was already working inI 25 area development programs benefiting about 58,000 children and their families. Our first concern was for their safety. We quickly realized we’d have to step out in faith beyond our usual development work to make a strong contribution to ending the epidemic. Building on 20 years of grassroots involvement in Sierra Leone, we joined with communities, partner agencies, and every level of government in the battle against Ebola. There were no deaths among the World Vision-supported children and their families. 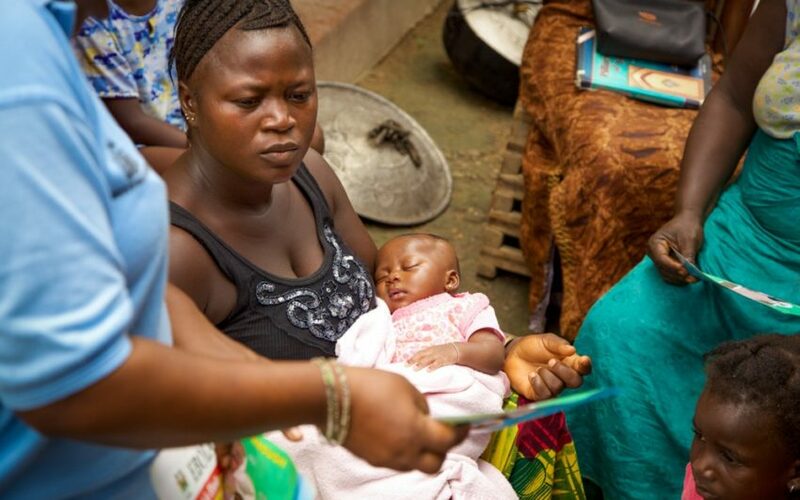 A 2016 study of World Vision’s response by Johns Hopkins University indicated that the organization is a trusted source of Ebola prevention information and World Vision’s faith-based approach is effective in influencing people to change hazardous behavior and seek medical attention. 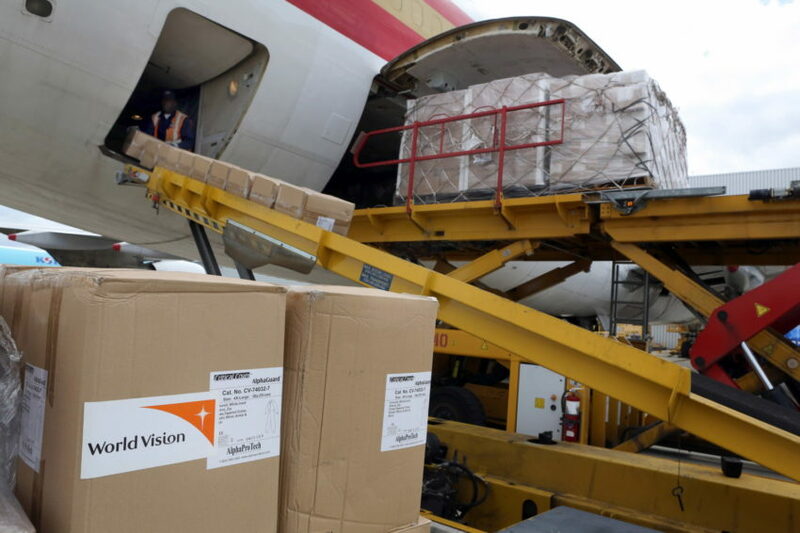 World Vision mobilized internationally to deliver 5.4 million personal protective equipment items, including suits, gloves, face masks, and goggles to use in Sierra Leone hospitals and health centers and gave hygiene kits to schools. 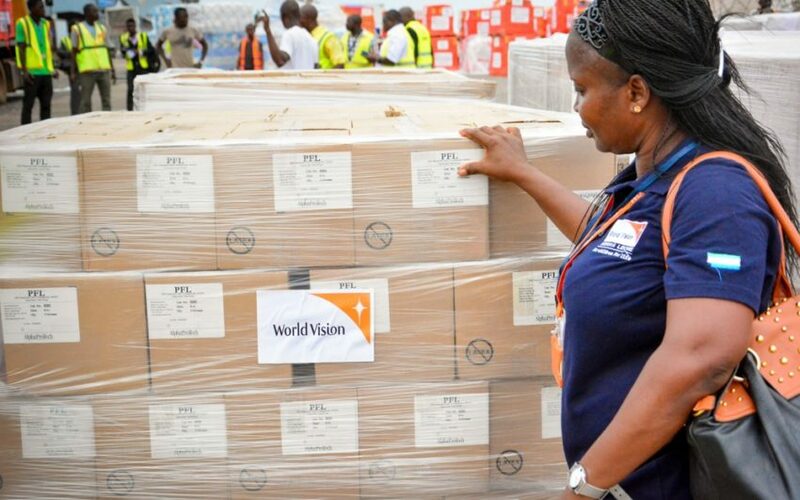 Long-time World Vision partner McKesson, the largest healthcare services company in the U.S., donated 200 pallets of medical relief supplies, enough to meet Sierra Leone’s needs for five months. 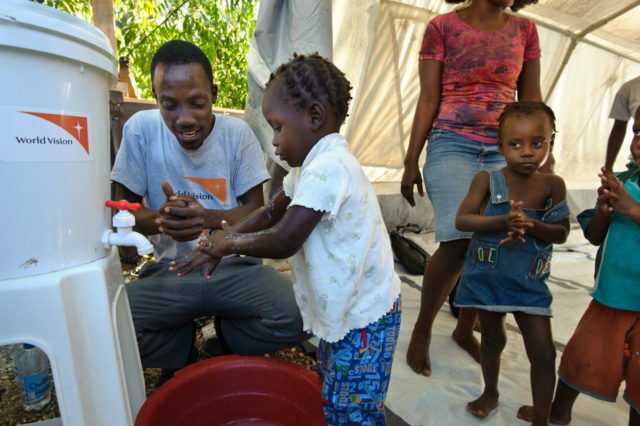 World Vision-trained staff organized massive awareness, prevention, and education campaigns to protect children from the disease through radio and house-to-house information sharing. 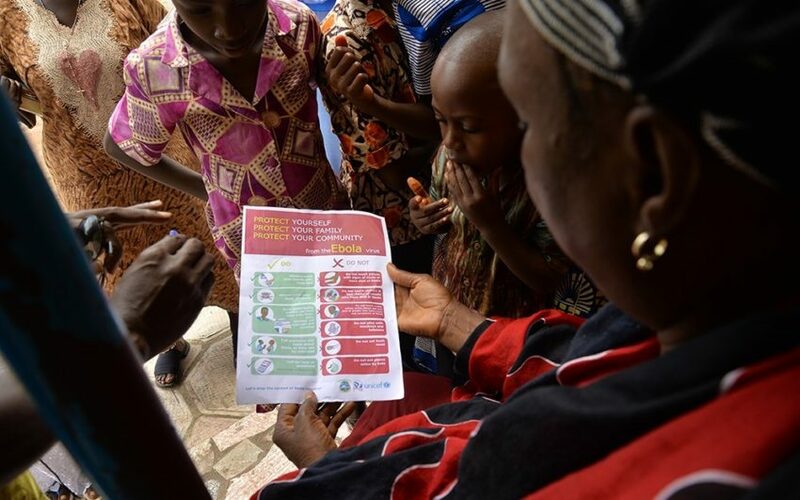 Staff trained more than 2,000 influential local leaders — including Christian and Muslim clerics, traditional faith healers, and frontline community health workers — to deliver messages on Ebola awareness and prevention. 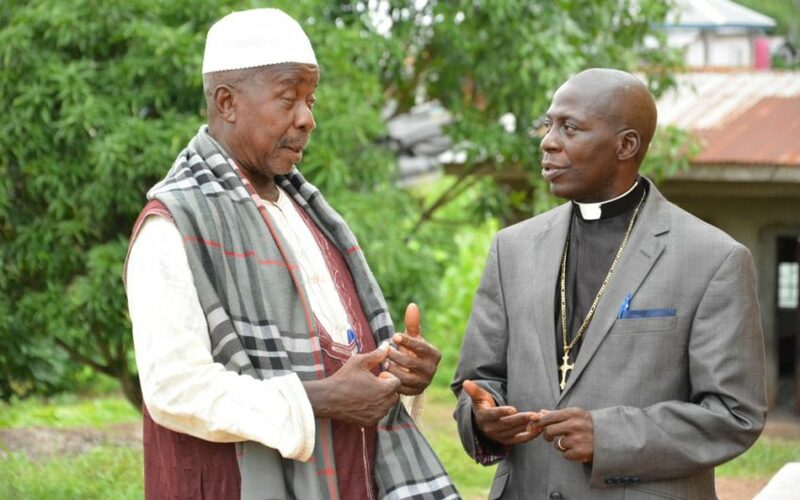 “When so many communities face such terrible suffering, the church must be there to combat fear, stigma, isolation, and hopelessness with both love and tangible support,” said Bruno Col, World Vision communications director in West Africa. World Vision fielded 800 trained burial teams, with two other aid agencies, that performed 29,201 burials to prevent transmission of the disease, while respecting families’ need to mourn and preserve tradition. Follow an Ebola burial team providing a safe and dignified burial for Betty Thomas, 42, from the Moyamba district of Sierra Leone. When arriving at her home, the team put on protective gear, a 10- to 15-minute process that includes each one putting on three pairs of gloves, and wrapped and removed her body while spraying disinfectant. A pastor then led a short service, including the Lord’s Prayer, and Betty’s body was taken away to be buried. Her relatives followed the team to her grave. World Vision helped families and communities recover and build resilience with savings groups for economic recovery, farming improvements, and support for reintegrating Ebola orphans and survivors into family and community life. We trained educators to give psychosocial support to children returning to schools and organized and compensated volunteers to prepare schools to reopen. Jonathan Bundu, Karen Homer, Chris Huber, Denise C. Koenig, Sahr Ngaujah, and Kathryn Reid of World Vision’s staff contributed to this article.